If you were to ask me what I thought my most “popular” post was, I’d probably reply with one I was particularly proud of. Either because of the photography (like the M&M truffles), the recipe (like the French macarons), or both (like the Milk Bar birthday layer cake). What I would have NOT said was “Oh, the sprinkles post for sure”. It is BY FAR my most popular post, ever – with more than 116,000 views and almost 6,000 pins. And still counting. The photos are meh at best, downright blurry at worst. And the recipe? While catchy, yes, it is truly no bigs in terms of skill or complexity. Yep – good old BuzzFeed is directly responsible for my most-viewed (and pinned) post ever. And that’s okay – personally, I love BuzzFeed (I mean, how can you NOT love Australians taste-testing American junk food? ), and am truly grateful for the exposure. You’d think that I would have capitalized on this momentum, turning out ANOTHER sprinkles post, stat. But I just don’t roll like that – I kept saying that I’d get to “that chocolate version”, but never did (even with SEVERAL requests for one – ugh, I’m the worst). Till now! And it only took 3 years! 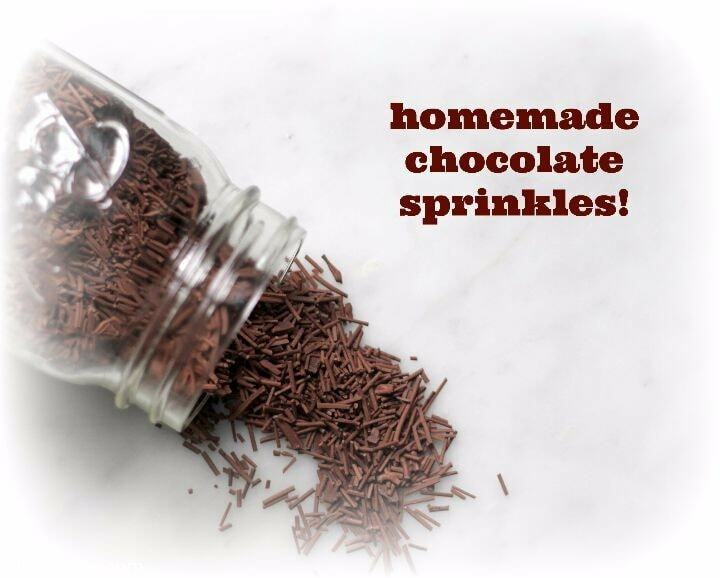 Just as easy as the rainbow version, with a rich, delicious chocolate flavor, these are the sprinkles of your dreams. They bear zero resemblance to the store bought variety, and you will want to put them on/fold them in EVERYTHING. So, so good. Get all of your materials ready before you start – I use this special tip but you can also use a tip with a small single hole (like a Wilton #2) – or a parchment cone – with equally great results. Set up your tip/piping bag, and 3 baking sheets lined with parchment paper. I also dampen a paper towel or two – to cover the tip if I have to walk away for a minute (so that the icing doesn’t dry out and clog), and to wipe down the tip occasionally. 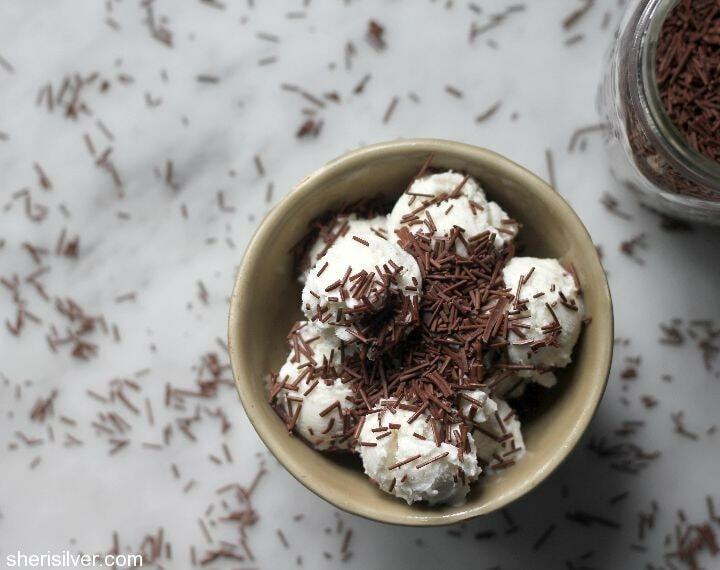 Sift the confectioner’s sugar and cocoa into your mixing bowl. Do not skip this step, as even the tiniest clump of sugar will clog your piping tip. Add the remaining ingredients and – using the paddle attachment – beat on low till the dry ingredients are evenly moistened. Increase speed to medium and beat till shiny and smooth. Scrape down the paddle and bowl and beat on medium again for another minute or two. Place the icing in a pastry bag fitted with your tip. Pipe out icing in long lines on your prepared baking sheets. Don’t worry if the lines aren’t perfectly straight, or if there are breaks as you pipe them out. Line them all up and chop into desired lengths. Use immediately or store in an airtight container indefinitely. I can’t wait to try this. I had some sprinkles in the Netherlands a few years ago, and theirs are so much better than ours that I haven’t used American sprinkles since. The Dutch eat sprinkles on peanut butter for breakfast! The Dutch know what’s up. 😉 Let me know if you try this, and how it compares! 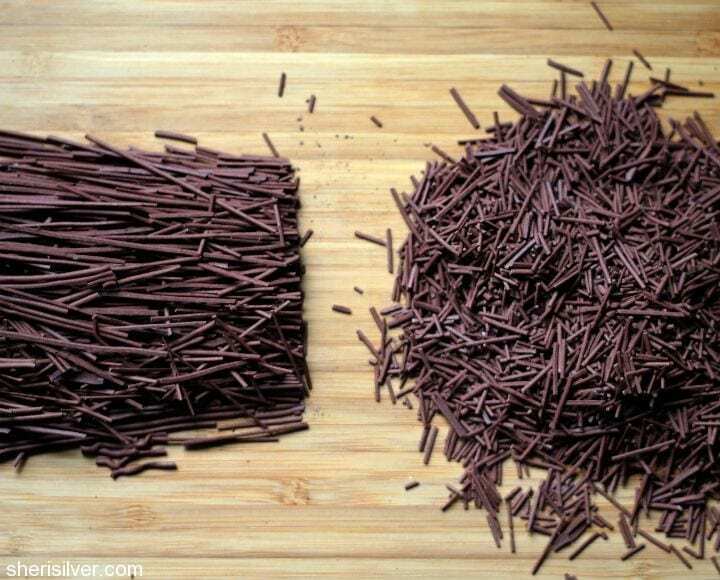 Hi one time i tried making chocolates this way but they did not set, nor they were crunchy. I tried putting them in the refrigerator also but they were still soft to the touch.I wonder if this will set or not.